Former U.S. Secretary of Transportation Norman Y. Mineta was back in San Jose this week for the opening of the Mineta Archives at the Dr. Martin Luther King Jr. Library in downtown San Jose and San Jose premiere of “An American Story: Norman Mineta and His Legacy,” at the Hammer Theatre Center. Click here for more. 275 Live From Opening Night @ CAAMFEst 36! 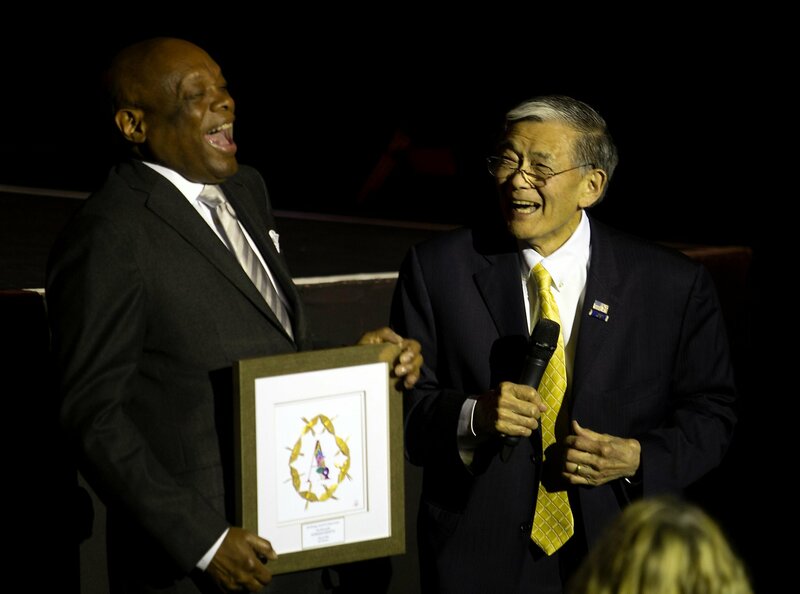 A native son of San Jose who was sent to a Japanese internment camp as a boy and later went on to serve in the cabinets of two U.S. presidents, a Democrat and a Republican, was honored in San Francisco.